Do you have a little one between the ages of birth and five years of age. 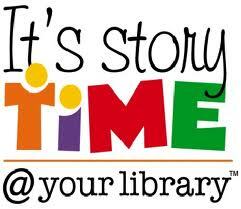 If so, the Lane County Library has created two special story times just for them. Wee Readers serves children ages birth through 3 years of age and will meet at the library on Tuesday @ 10:15 and Kid Kapers also meets on Tuesday @ 9:30 for children ages 3 through 5. Join us for stories, fingerplays, and fun activities. Registration will be held from August 28 through September 12 @ the library. We will meet the first time on September 16th. More information will be available at registration.